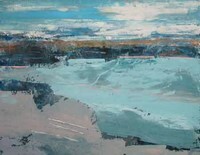 Viewed from afar, the compositions and skilful use of colour create a vast sense of space and the far distance of horizon. 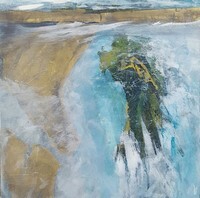 Closer examination reveals rich, carefully worked multi-layered surfaces with startling combinations of material, colour and sensitive delicate mark-making. 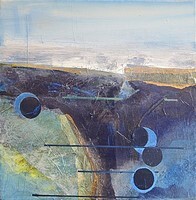 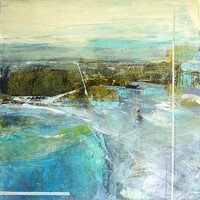 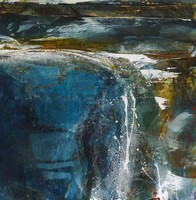 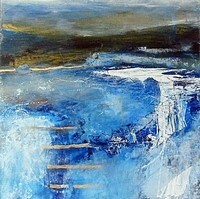 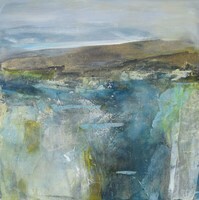 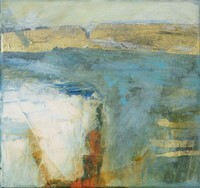 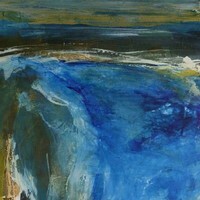 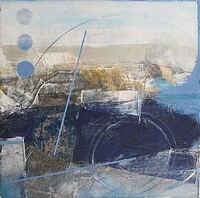 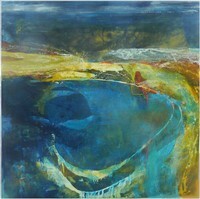 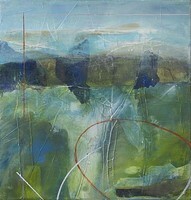 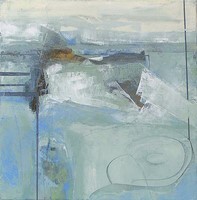 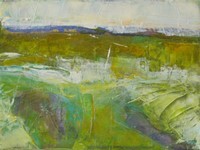 The paintings resonate with the extraordinary light and wild beauty of the Cornish landscape which inspires her. 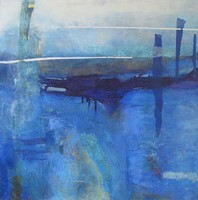 Margret Steigner was born in Germany, moving to the UK in 1989 where she studied at Goldsmiths College. 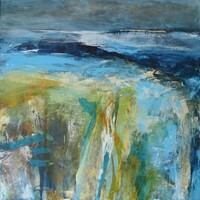 She lived and worked in London for a number of years, before moving to Penzance four years ago.